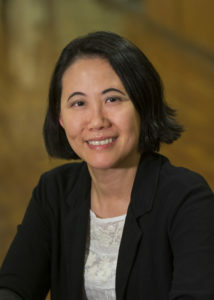 Dr. Lillian Siu is a senior medical oncologist at the Princess Margaret Cancer Centre and a Professor of Medicine at the University of Toronto. She is the Co-Principal Investigator of the OICR-supported Ontario-wide Cancer TArgeted Nucleic Acid Evaluation (OCTANE) study. Dr. Siu is the Director of the Phase I Program and Co-Director of the Bras and Family Drug Development Program at the Princess Margaret Cancer Centre, holds the BMO Chair in Precision Cancer Genomics, and is the clinical lead for the Tumor Immunotherapy Program at the Princess Margaret Cancer Centre. Dr. Siu served on the Board of Directors for the American Society of Clinical Oncology (ASCO) for a four-year term (2012-2016). She also served as a member of the Nomination Committee for the American Association for Cancer Research (AACR) (2014-2016). She currently serves on the AACR Board of Directors for a three-year term (2017-2020). Dr. Siu’s major research focus is in the area of new anticancer drug development, particularly with respect to phase I trials and head and neck malignancies. In addition to her active research in early phase clinical trials, she has been leading genomics initiatives and immuno-oncology trials at the Princess Margaret Cancer Centre. Cancer Clinical Trials: The Rear-View Mirror and the Crystal Ball. Siu LL, Lawler M, Haussler D, Knoppers BM, Lewin J, Vis DJ, Liao RG, Andre F, Banks I, Barrett JC, Caldas C, Camargo AA, Fitzgerald RC, Mao M, Mattison JE, Pao W, Sellers WR, Sullivan P, Teh BT, Ward RL, ZenKlusen JC, Sawyers CL, Voest EE. Facilitating a culture of responsible and effective sharing of cancer genome data. Siu LL, Waldron JN, Chen BE, Winquist E, et al. Effect of Standard Radiotherapy With Cisplatin vs Accelerated Radiotherapy With Panitumumab in Locoregionally Advanced Squamous Cell Head and Neck Carcinoma: A Randomized Clinical Trial. JAMA Oncol. 2016; Epub ahead of print. Bedard PL, Hansen AR, Ratain MJ, Siu LL. Tumour heterogeneity in the clinic. See Dr. Siu’s recent publications on PubMed or on Google Scholar. University of Toronto, Wightman-Berris Award for Teaching Excellence, 2003. To collaborate with Dr. Siu, please contact her directly.